Find inspiration in flawless greens framed by mountains and brilliant blue sky. 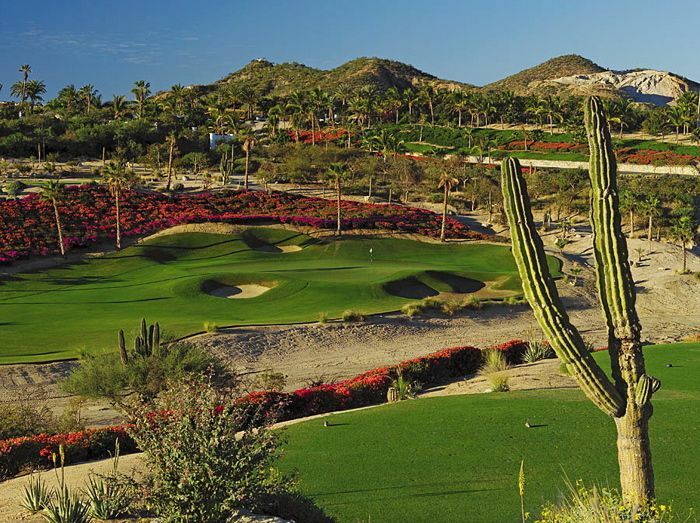 This endlessly interesting nine-hole course extends 3,602 yards. The third hole-“one of the greatest par fours of the world”-leads you 470 yards uphill to an ample driving area. 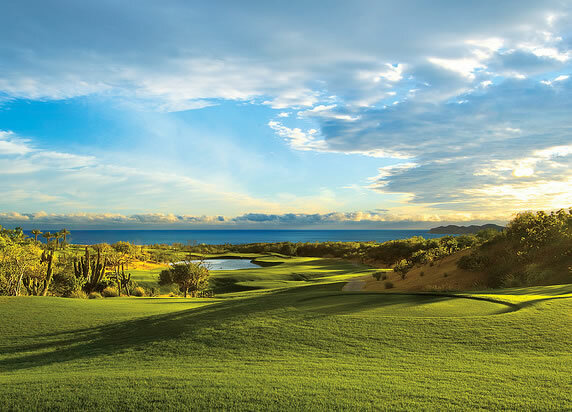 At holes four and five, you encounter an impressive water reservoir-don’t get distracted! Palmilla offers golfers spectacular views of the Sea of Cortez from nearly every hole as it winds through centuries old cardon cacti and rugged desert mountain terrain, making each hole a memorable experience for golfers of every skill level. 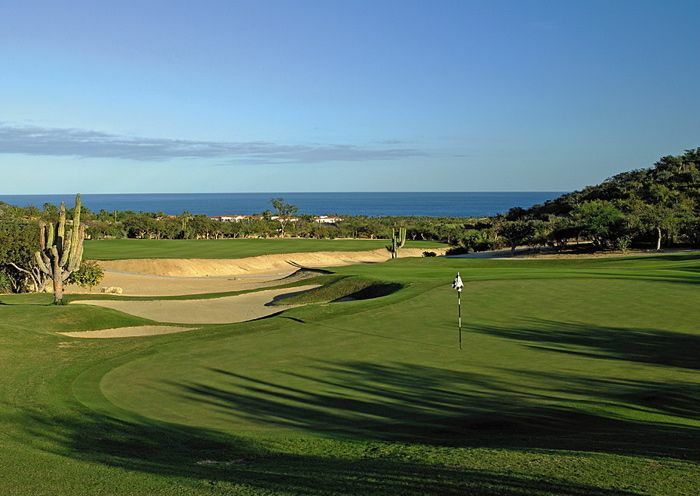 The course is divided into the Arroyo Nine, the Mountain Nine and the Ocean Nine. 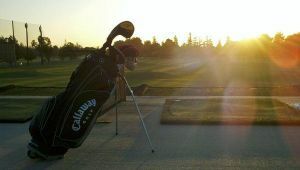 The five sets of staggered tee boxes ensure golfers, from beginners to professionals, an exciting game. 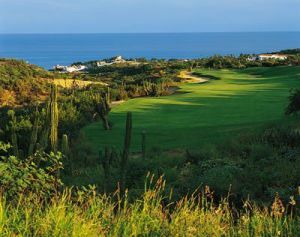 The Mountain Nine stretches 3,602 yards, and features the par-4 third hole, which leads 470 yards uphill to a generous driving area and ends on a flawless green. The fourth and fifth holes take golfers alongside a water reservoir, concluding with a green framed by the mountainside. 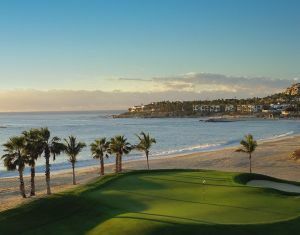 The Palmilla Golf Club has received numerous awards and accolades from top national golf publications, including Links, Golfweek and Golf World. 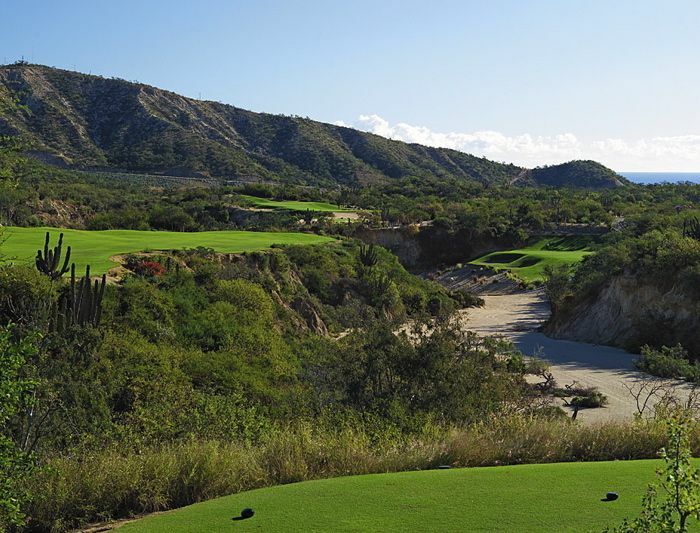 Palmilla Golf Club - Mountain/Ocean is not yet in our pool of Golf Courses for orders.